The Florida Film Festival is Orlando’s premier annual Film Festival that happens each year in the month of April. The 2015 event takes place beginning on Friday, April 10th, 2015 and continues to Sunday, April 19th, 2015. 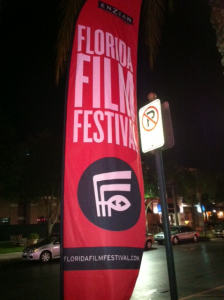 The Florida Film Festival highlights many different genres of film including Animation, Shorts, Documentaries, Narrative Features, and Family Films. Click Here to see the schedule of movies and party events and here for a database of all of the movies playing at the festival. Many of the events occur at the Enzian Theater in Maitland and at the Regal Movie Theater at Winter Park Village. Many tickets for individual movies are available from $9 to $11 and ticket packages are also available for viewing multiple films. Click Here to purchase tickets and look at ticket packages and click here to visit the official website of the Florida Film Festival. In addition to the Florida Film Festival, the Orlando Film Festival takes place in November. This entry was posted in Events and tagged annual events, april, arts, maitland, theatre, winter park. Bookmark the permalink.